Wire for submerged arc welding (SAW) in stainless steels, duplex stainless steels and nickel alloys. 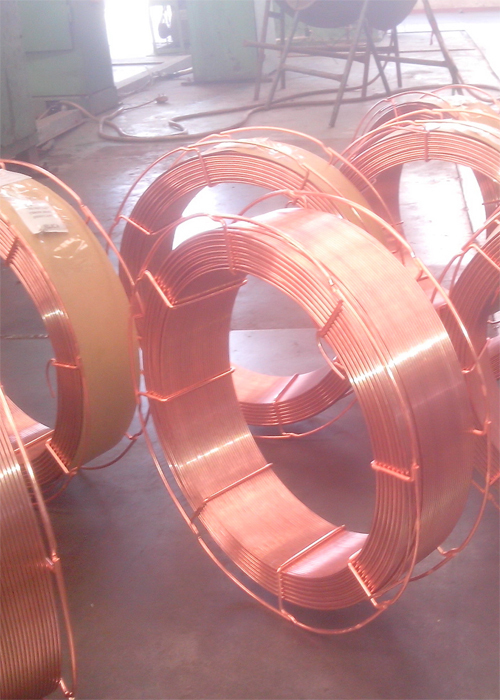 Standard wire diameters are 2.0, 2.4, 3.2, 4.0 and 5.0 mm. KA Wires SAW wire is precision layer wound on basket rims B 450 with wire weight 25 kg. KA Wires SAW wire is characterized by excellent feeding and welding properties, facilitating trouble-free welding. Application: flux is suitable for welding Q345 grade carbon steels,A,B,X42-X52 pipe steels matching H08A, H08MnMo wires etc. Note: before welding, baked 2hours flux of 350Â°C and removed rust, oil, moisture etc of plate.